By now you have probably figured out that both authors actually believe he existed, with the more interesting question (to them) being who he was. If so, you would be correct. As most relatively informed atheists and agnostics might know, there presently rages a debate in the free thinking community about whether Jesus, the man, actually walked and talked in Palestine, or whether he was created out of whole cloth by later, interested originators of the religion we now call Christianity. 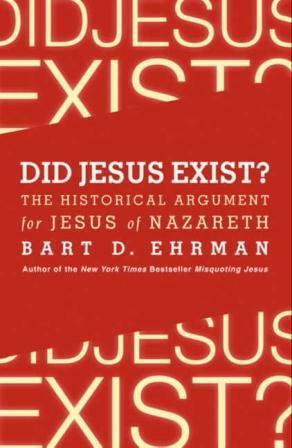 This debate has not been resolved, although Ehrman is quite firm that most Biblical scholars hold to the view that Jesus did exist, though most of his works, words and actions set forth in the New Testament are primarily fictitious. This is not to say that it’s all pure fiction. Both authors, for instance, subscribe to the view that he was a real Jewish male, born and raised in Nazareth (not Bethlehem), who became a minister (or rabbi) with a particular message for his people, who eventually attracted the ire of the Roman overlords, was arrested and was crucified, most likely for sedition, an executable offense in the Roman Empire. Beyond that, there isn’t much more that can be confirmed about him. …most scholars in both the United States and Europe over the past century have been convinced that Jesus is best understood as a Jewish apocalyptic preacher who anticipated that God was soon to intervene in history to overthrow the powers of evil now controlling this world in order to bring in a new order, a new kingdom here on earth, the kingdom of God. In short, he was no different than every apocalyptic preacher that came before him and which we now still see on street corners, thumping their Bibles and yelling “Repent, Repent! The Kingdom of God is near!” Apparently, while we may find that to be a minor irritant these days, the Romans took great umbrage at it, because declaring a new kingdom meant a new king, and any hint of new kings gave the Emperor the willies, since he thought only he had the power to create kings. So he took a dim view of anyone even remotely questioning his authority. Aslan, on the other hand, declares that Jesus was a zealot (small “z” – there was an organization that came after Jesus called the Zealots), someone who was intensely sympathetic to the view that the Romans had invaded “god’s land” given to the Jews, and should be resisted at all turns, and he was so outspoken in it that he made enemies – the Jewish high Priests and Pharisees (who had a vested interest in maintaining the status quo), and the Romans, who were were quick to squelch anything that smelled of sedition. That meant Jesus, whose message criticized the current social order, so he was quickly disposed of. Ehrman states that he was dead within six hours of his trial before Pontius Pilate, who probably spent no more than a few minutes on the actual trial. However, when you compare the two, Ehrman and Aslan really don’t disagree much more than in the tenor and color of their descriptions of Jesus and his times, and this may be explained simply by their different backgrounds – Ehrman was a raised evangelical Christian who studied theology to the point of deconverting to agnosticism. Aslan is an Iranian Muslim who came to America with the overthrow of the Shah, only to become an evangelical Christian, then an atheist, and then back to his Muslim faith. 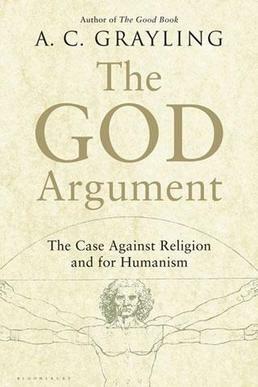 I suspect that as a Muslim he may find the idea of religious zealotry a bit more palatable, with more explanatory power, while Ehrman was raised on the fundamentalist vision of Jesus as a loving God and hence may identify more with the passive shepherd motif. Either way, it doesn’t make much difference to their conclusions. They agree that all of the supernatural baggage (angels, and demons, and miracles, and faith healing, etc) were unsupportable historically, as they should be. Most of the stories in the NT are easily explained as being created after the fact to fit an emerging Christian agenda, or to fulfill known prophecies in the OT to make Jesus seem inevitable, especially when it became clear that the heart of his message – that the end times were imminent – was not coming true, so a new message had to evolve. Ehrman points out that his message was very Jewish, not meant to found a new religion, and was meant for Jews only. That message was that God’s Kingdom was near, and to be a part of it, you had to strictly observe Jewish law set down by Moses. He wasn’t as concerned about the minute interpretations of the law that the rabbis and priests loved to nitpick over, as he was about the basic underpinnings of the law. Love God and love your neighbor. That was basically it in a nutshell, Observe this and you get to be favored when the Kingdom arrives. This was later morphed by Christianity into “believe in me (Jesus) or risk hell when you die”. Both of these books opened my eyes, and frankly changed (or at least fixed) my opinions. 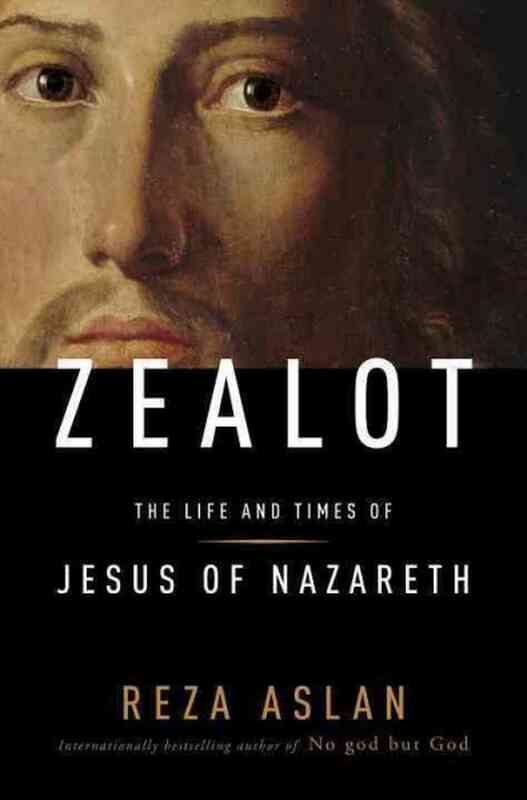 Prior to reading them, I wasn’t sure where I stood on the historicity of Jesus. I tended to feel that since all of religion stemmed from a desire to explain the unexplainable, and hence had no real basis in reality, that a historical Jesus was probably unsupportable, and therefore was more than likely a fictional character of convenience. And to a certain extent, that’s still how I feel – that Jesus is a man-made myth. But I think there seems to be a good basis for finding that someone named Jesus actually existed in Palestine in the beginning of the first century CE, that he may have had grandiose ideas about his understanding of reality, and felt a need to preach about it and convert others to his odd beliefs. People like him are replete in history, and still occur in society to this day. Think Jim Jones, David Koresh, Sun Myung Moon et al. And this Jesus guy probably pissed off the locals and their Roman Masters, who squashed him like a bug, with great efficiency. But he had convinced some to go along with his weird visions, and had created a small organization headed by his apostles (who also probably existed), and in an ignorant, relatively credulous society that existed in the first century Middle East, many latched on to this, which eventually grew, and eventually created the religion that we now call Christianity – a religion that probably would have died had it not been embraced eventually by the powerful people of the time, most importantly the Emperors of Rome. If you don’t think a powerful religion can grow out of the credulous and naive desire of people who want to believe something, anything, to make their miserable lives seem a bit more palatable, you only have to look at the Mormons. And the 1st century CE was far more ignorant that 19th century America. So, yes, there probably was a Jesus of Nazareth. But who cares? The question of whether he existed is irrelevant to current times, or even history. What matters is the myth surrounding him, the myth that was created, loosely hung on a real man like a bad suit draped over a scarecrow. He wasn’t anything like the forces of present day Christianity would like us to believe he was. He was just another Jewish schmuck who thought he knew something he really didn’t know about the world and about reality. He was a man of his times, looking for a way to break the chains of subservience his people were suffering under as a satellite state of the Roman Empire. Or perhaps he was a simple man that wanted to ease the suffering of his people under the thumb of their Roman conquerors. It doesn’t really matter. He was not the “son of God” or part two of a three part Trinity, or the “savior who died for our sins”, or the Messiah, or any other such nonsense. The argument between the mythicists and the historians is pointless, because in the end, even if he started out as real, he ended up as a myth. Who he was became irrelevant when his followers, chief among them Paul, began making up stories about him, that grew and evolved and morphed into the monster they now call Jesus. A Jesus that doesn’t resemble the real man in any way, shape or form, because pieces of him were taken from other myths and grafted on to him, like Frankenstein’s body parts.. He was just one man among millions who lived in his time. He’s best left there. These two books actually go far in doing just that. This entry was posted in Atheism, Bart Ehrman, Beliefs, Bible, Books, Christianity, god, Jesus, Law, Middle East, Myth, Religion, Skepticism, Supernatural, Ten Commandments, Theology and tagged Aslan, Atheism, Beliefs, Bethlehem, Bible, Christian mythology, Christianity, church, Ehrman, god, Jesus, Jesus Christ, myth, Nazareth, New Testament, Palestine, Religion, Religion and Spirituality, Reza Aslan, Roman, Roman Empire, Theism. Bookmark the permalink. 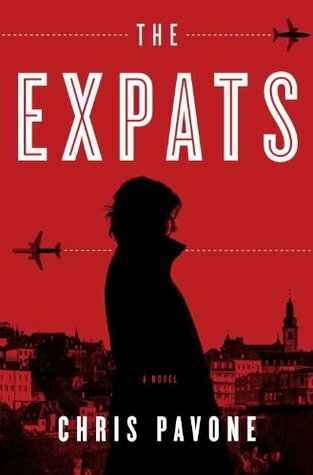 Nowadays they call it historical fiction, weaving a tale based on historical events and/or a specific person. Imagine civilization falling and thousands of years from now people discovering old books explaining how Lincoln was a vampire hunter. That actually provides employment for historians. When the record seems so…ambiguous, they can make a career out of scholarship. Look at Ehrman. An agnostic as a result of his scholarship, but without it he would have remained a raving evangelical fundamentalist. Now he’s a well known, highly regarded professor of Bible studies at a very good university, selling millions of books. I would have been interested in reading both of these books a few years ago. Now, I don’t think I see much point in doing so. The historical Jesus, is, as you said, irrelevant since we don’t actually know anything except the barest, most generalized outline of what he may have been like. What’s been more important, historically, is the mythical figure. The mythical character has been, and continues to be, recast as whatever his “followers” (“inventors” would be a more accurate word) want to say he is at any particular time. For some, he’s Gentle Jesus Meek and Mild. For others he’s a macho combination of GI Joe, Rambo and the Marlboro Man. For still others, he’s a Democrat-hating, Capitalist Republican. An aside re: Ehrman being highly regarded – he is highly regarded in the circle that probably matter the most to him (as they do to me). But, he’s anathema to evangelicals (not the anti-Christ – that spot’s reserved for President Obama). It appears that even something as seemingly simple as “regard” is a relative concept. As for Ehrman, he is a typical academic, though. He spends a good bit of effort in the book telling us that the bulk of academia agree with him, and therefore you should too, which seems to be a logical fallacy, with some merit to it. Even if “everyone” thinks Jesus existed, that doesn’t mean he did. It just means that “everyone” thinks so, and we know how wrong “everyone” has been in the past. But still, the basis for his conclusions are still sound. I’m not sure that the the term “historical Jesus” has any meaning. The state of the argument seems to be, “There was an apocalyptic preacher who was killed by the Romans”. (I think that this to be true or likely true of a number of wannabe Joshua Messiahs – we have records of some of them). What we have is akin to a claim that Harry Potter is based on a real boy because there was probably an orphaned boy who went to boarding school. In fact J. K. Rowling says that the idea for the wizard boy “fell into her head”. We would expect mention of a real historical “Jesus of Nazareth” in Christianity’s earliest writings, but they’re simply not there. The “details” that we have from Paul, he claims, “fell into his head”. The earliest creed mentions the crucifixion of an unnamed messiah and could simply be the retconning (pesher) of Jewish scripture. The “earliest prayer” “Maranatha” means “Come, oh Lord”, not “Return, oh Lord”. From what I’ve been able to gather this “historical Jesus” is at best legend (in the sense that Jesus could be based on an historical figure). The fairest summary of all the facts is that Christianity’s magical Jesus is myth based on legend or vice versa. Just a way of differentiating between the guy that lived and breathed the air of Palestine in the first Century, and the one that everyone in the 21st Century thinks he was. Yes. If I wasn’t clear, I agree. The Jesus Christ that is the center of Christianity is not the same Jesus that may or may not have actually lived.. The actual human who was called Jesus of Nazareth, and the one that the later Christians based the mythology on, are so diametrically opposite people, that the latter (and later) is clearly all myth. As I was reading Ehrman’s book, I kept thinking, when he would point out that the mythicists were wrong, and that there WAS a real Jesus, that “thou doth protest too much”. He made his point about a third of the way into the book. OK. The myth is based on a germ of reality. I get it. But it’s still a myth. The subject was better covered back in 1909.